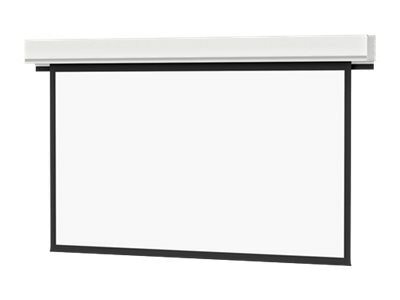 Handsome white powder coated closure doors and case provide a clean look and allow easy installation of ceiling tiles. Advantage Deluxe Electrol is designed to have the case installed during the "rough-in" stages of construction and the fabric assembly during the finish stage. It features patented in-the-roller motor mounting system for quiet operation.